Sea Island’s archives reveal snapshots of milestone visits from America’s first families and foreign dignitaries. When Sea Island opened in 1928, the resort offered a lighthearted coastal escape from the rigors of city life. Families could reconnect over time-tested activities set among the natural beauty of the unspoiled Georgia coastline. Now, more than 80 years after its debut, the resort still beckons families to experience the same timeless delights. Unsurprisingly, the elegance of the Island has appealed to many notable names over the decades. In addition to numerous presidential families, esteemed leaders of foreign countries have also visited in both personal and professional capacities. Read on for a journey through time, courtesy of the Island’s storied archives. 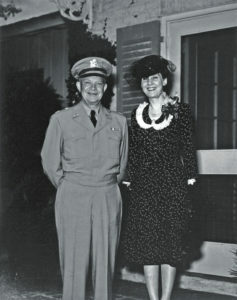 Then-General Dwight Eisenhower and his wife, Mamie, on a visit to Sea Island. 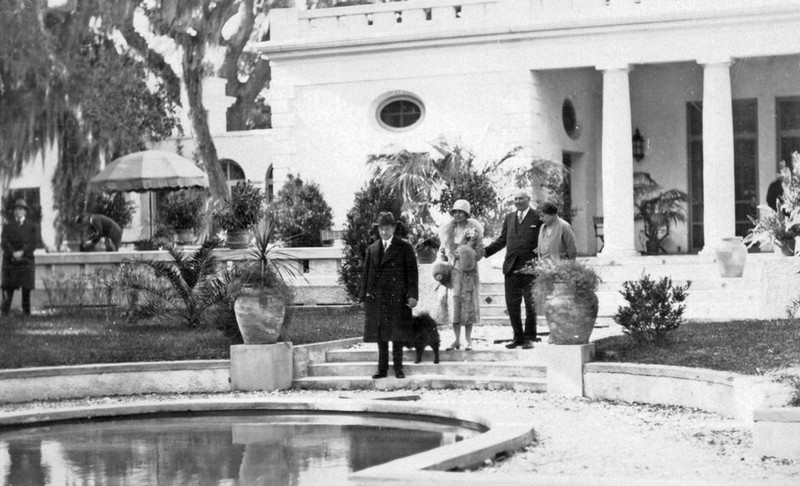 In the 1930s, Sea Island founder and automobile magnate Howard Coffin and his wife, Matilda, hosted then-PresidentCalvin Coolidge and his wife, Grace, at their home at Sapelo Island, an island north of Sea Island. The rebuilt antebellum mansion provided a home base for the foursome as they ventured to sites along the coast. 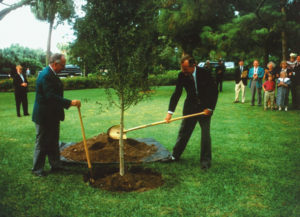 Coolidge planted the first commemorative oak at The Cloister during that visit, starting a custom that would include many other recognizable names over the years. According to historians at Sea Island, the oak that Coolidge planted was a water oak, not a live oak—as tradition dictates; the substitution was inadvertently made while the Island’s landscape architect was out of town. The tree was subsequently replaced with the correct, longer-living oak. Nearly 20 years after the first tree took root, another American dignitary left his mark here. In 1946, then-General Dwight Eisenhower visited Sea Island with his wife, Mamie, while he was serving as President Harry Truman’s Chief of Staff of the Army. Eisenhower was elected to the presidency in 1952, and a live oak was planted in his honor to commemorate his visit. George H.W. Bush planting a tree at Sea Island. Sea Island has played an important role for another American first family, the Bushes, beginning in 1945 as the site of George H.W. Bush and Barbara’s honeymoon. The pair has returned several times, both during and after Bush’s presidency. In 1991, he also planted a commemorative live oak while vacationing at the resort, and together they returned in 1995 to celebrate their 50th wedding anniversary. The family tradition continued during George W. Bush’s first term as president, when he hosted the G8 Summit—an annual forum for the leaders of the world’s most powerful countries—at Sea Island in June 2004. While hosting the 30th annual event alongside world leaders like the United Kingdom’s Tony Blair—who planted his own tree during the summit—George W. Bush planted a live oak just a few feet from his father’s. Most recently, the third generation of the Bush family tree helped The Cloister celebrate its 85th anniversary in 2013: Jenna Bush Hager represented her family at the festivities with her husband, Henry Chase Hager. The celebration featured a replica of George and Barbara’s 1945 wedding cake, which the Hagers ceremoniously cut. Former Prime Minister Margaret Thatcher arriving at Sea Island. Proving itself as an international destination, Sea Island has also attracted VIP guests from other countries. Queen Juliana and Prince Bernhard of the Netherlands visited for the Easter holiday in April 1952, and the queen added her own live oak on this trip. The monarch also learned a new skill that weekend: how to open an oyster, which she was taught by Alfred W. Jones Jr., who served as the vice president of the Sea Island Co. at the time. 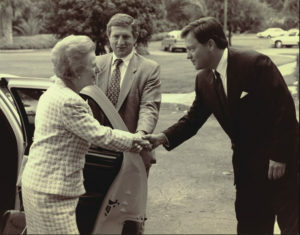 In 1994, former British Prime Minister Margaret Thatcher visited to deliver a speech to a group meeting at Sea Island. Dressed to the nines in a pink linen jacket with matching shoes and a dark skirt, Thatcher did more than just sprinkle the ceremonial handful of dirt during her oak planting. “I was fortunate enough to be there that day to observe her really getting into the effort,” Merry Tipton, Sea Island’s communications director, recalls. “She made her way completely around the tree, shoveling with great enthusiasm. She then turned the shovel around and scraped with the pointed end, pulling as much dirt into the hole as possible.” Tipton also notes that a gentleman in Thatcher’s group was heard saying, had Thatcher been wearing her gardening shoes, she likely would have stomped down the dirt all the way around the tree.